The wooden flute is our specialty. 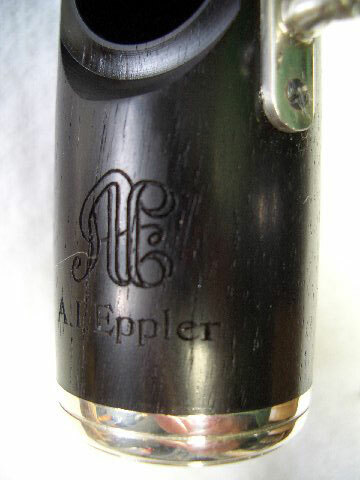 The Eppler Flute Company is the oldest uninterrupted maker of modern wooden headjoints and flutes in the world today, having first introduced them over thirty years ago. 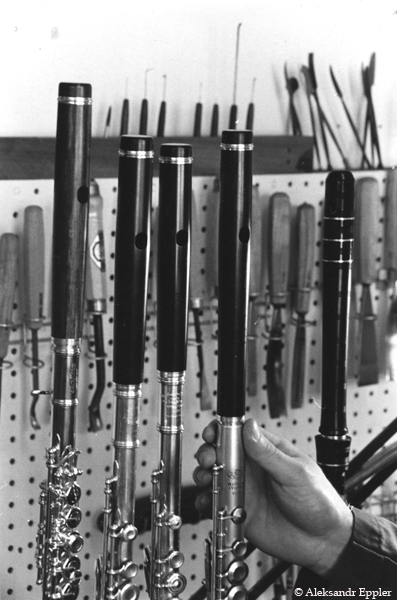 Currently, we are in the process of introducing an entirely new model of Eppler wooden Boehm-system flute. This is our first completely new design since 1990 to be available in 2006.
a wide variety of silver flutes. Our instruments combine all the features and specifications favored by a majority of our clients who play in symphony orchestras, teach and perform professionally. Our special silencing and exclusive hand-finishing make Eppler flutes feel and play like other flutes costing more than twice as much. French, pointed key cup arms. B footjoint with high C facilitator key (gizmo). C# trill key (very useful for over 16 trills and tremolos). Modern, professional style hand-cut embouchure. Offset G-A or in-line open hole (French) mechanism as directed by customer. Modern A=442 scale (correcting tuning problems most flutes have, i.e. a flat low octave and a sharp high one). Padded, zipper pocket case cover with handle. 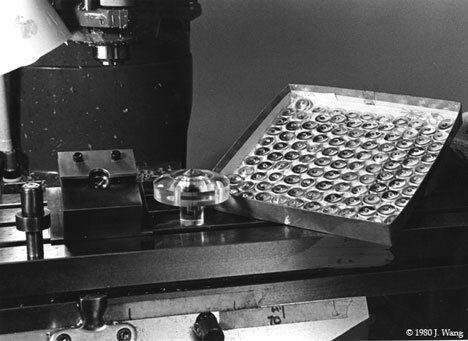 key cups produced at Eppler Flute Company in 1980. "I purchased one of your flutes about 13 years ago. My flute has been just wonderful. lots of use since then and I play it often. time when it was being built. Good luck with everything!!" The pricing of Eppler wood headjoints is confirmed at the time of order. a low F# footjoint (with gizmo key). G# trill key (comparable to a C# trill key on the C flute). 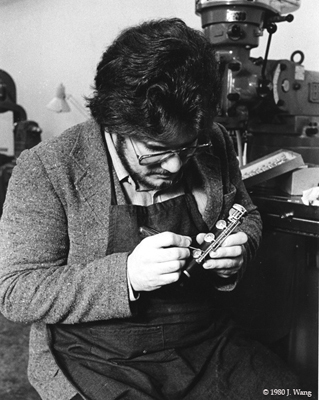 This unusual instrument is truly a miniature flute with a cylindrical bore. A one piece grenadilla or cocuswood body to C (comparable to a C footjoint on the flute). A silver headjoint-to-body tenon (in lieu of the traditional piccolo tenon). A unique C# trill key. A flute-style thumb key (single, not double, key cups). Options: one piece body to low B (with gizmo key). The lower and middle octaves of the Eppler piccolo are fuller than those of the traditional piccolo. The instrument also perserves an exceptionally responsive high C but the high octave is not shrill or piercing. For all correspondence and mail orders, go to CONTACT page. Old wooden flute awaiting restoration. 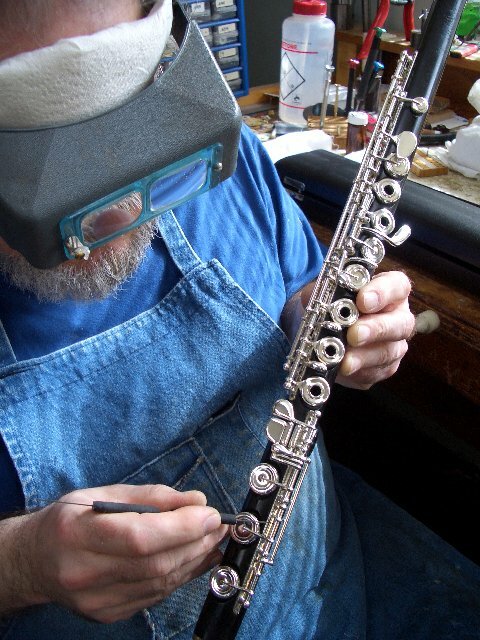 complete restoration and overhaul of this flute.